It's with an extremely heavy heart that I write about the passing of Whitney Houston. The world has truly lost another icon. I was in the middle of writing my most recent Natalia Kills post when I happened to glance down at my phone and saw a Tweet from The Ting Tings about the death of Whitney Houston. I immediately froze. I couldn't move. I clicked the link, skimmed numerous articles and finally flipped on CNN for a sort of final confirmation. It was true - the Legendary Whitney Elizabeth Houston was gone. Of course, I was glued to my Twitter feed and CNN for the next few hours, tearing up with every celebrity reaction that came in. I just couldn't (and still can't) fathom a world without Whitney Houston. Say what you want about her recent troubles, there's simply no denying the fact that Houston is a talent that only comes once in a lifetime. I for one, feel privileged to have been touched by the music of Whitney Houston during my lifetime and I know I'm not alone in that sentiment. To be honest, I can't remember the first Whitney Houston song I ever heard, but I do remember when my brother bought The Bodyguard Soundtrack. I fell so hard for that soundtrack - SO hard in fact that I might have pilfered the CD from my brother. The soundtrack introduced me to artists like Lisa Stansfield, The S.O.U.L. S.Y.S.T.E.M., Sass Jordan and yes, even Whitney Houston. Now, when The Body Guard came out I was only 11 years old, so too young to see a Rated R movie, but the music obviously spoke to me. While I'm sure I had heard Whitney Houston songs prior to listening to her material from the soundtrack, I am certain that this album was the one that solidified Houston as a namesake in my mind. The Body Guard soundtrack produced two Top 5 hits ("I'm Every Woman," "I Have Nothing") and a #1 single ("I Will Always Love You") on the Billboard Hot 100 chart, so of course it made her a namesake for a lot of young people from my generation. Throughout the 80s, I listened exclusively to "Oldies" radio because that's what my family listened to, so that was what I knew. Of course, as the years went on I went back and fell in love with Whitney's entire back catalog, as one should do after missing nearly a decade of genius from an artist like Whitney Houston. Houston's last album, 2009's I Look To You was actually the first Whitney album I ever purchased, and while her more recent material might not have been of the same caliber as past material, it's quintessential Whitney. Whitney Houston at her worst was still better than many contemporaries at their best. To honor Ms. Houston and her incredible talent, I've gone through her discography and picked out my 20 favorite singles and listed them in chronological order by release date. I've also listed the songwriters, producers and chart positions (U.S., Canadian and UK) for each song. Now, this is only a sampling of Whitney Houston's many hits, not to mention non-single album tracks but I had to have a sort of focus for this post. I hope these songs bring you as much joy as they do for me. Please comment below and share some of your favorite singles! 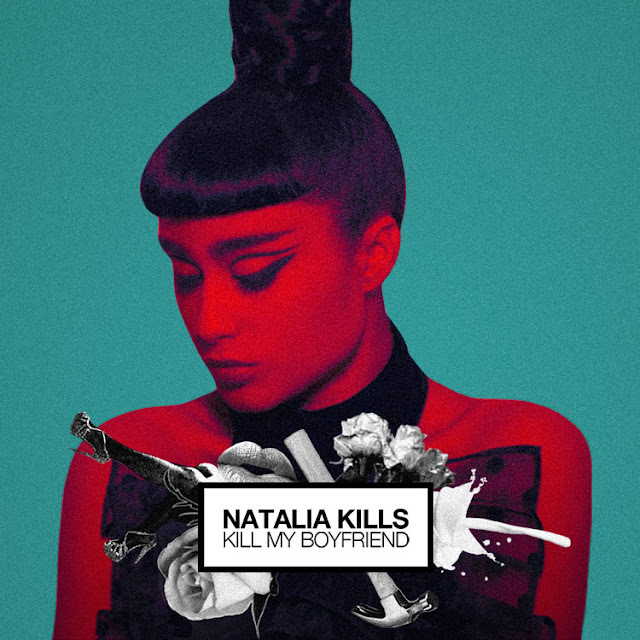 "Kill My Boyfriend" is the final brilliant single taken from her equally brilliant debut album, Perfectionist which came out in the States last summer on Cherrytree Records/Interscope. The song was produced by French DJ/Producer/Songwriter Junior Caldera, who co-wrote the song alongside Natalia and Julien Carret. The song is pure pop PERFECTION at it's best and as good pick as any for a final single off the album. The song recalls material from Lady Gaga's debut album, The Fame, at least in terms of production and overall sound - "Eh Eh (Nothing Else I Can Say)" is what I'm thinking of specifically. Unfortunately, as high quality as "Kill My Boyfriend" it's completely failed to chart anywhere. Such a bummer. It's frustrating to me that someone as talented as Natalia Kills isn't a bigger music star right now. Chalk it up to "the industry," I guess, but Kills has talent for miles and I'm hoping she remains as persistent with her career as she has up till this point. Back in October of last year, when I interviewed Natalia Kills, I asked the talented artist when the album would be released. "I believe the world revolves around desire and I'd really like to build up a desire, a necessity for my music to exist within so that it has a purpose immediately, rather than being left floating around for people to like or not like." Well I don't quite know what to say. Clearly, given the relative commercial failure (in the States anyway) of Perfectionist and it's preceding and subsequent singles, the obvious conclusion one might draw would be that there was no "desire" for her type of music. I would like to think that's not the case. I'd like to think that it was more a matter of promotion (or lack there of). I guess a good percentage of an artist's success is determined on demand, but if the public don't know someone exists, how is there going to be a demand? It's a catch-22. I take it, based on her answers to my questions as well as what I've read about Kills, she's not going to curl up and die after one failure. She's going to keep trying and perfecting her act and her art until people take notice, and even if people don't take notice - she's going to have a cluster of fans around the world who know, love and respect her talent and that will take her where she needs to go. In the States, Perfectionist debuted at #6 on Billboard's Dance/Electronic Albums chart and #134 on the Billboard 200. Over in Europe, Perfectionist debuted #129 on the UK Albums Chart and in entered the Top 40 in both Austria and Canada. Kills' most successful single release to date was her official debut single, "Mirrors," which peaked at #2 in Poland, #5 in Slovakia, #10 in Germany, #18 in Belgium and in the U.S. at #3 on Billboard's Hot Dance Club Songs chart. Check out the fantastically futuristic/retro dark & twisted video for "Kill My Boyfriend" below and download the song on U.S. iTunes HERE.